The workshop was held on March 24 and 25 at tehe Technological Park of Boecillo, in the Spanish town of Valladolid. The main highlights of the project were presented by Dr Jorge Rodriguez, the ECOLAND project coordinator (Bussiness Development Manager for Aerospace, CIDETEC), and Raul De Saja, participant in ECOLAND (Director of the Technology transfer Office of CTME). 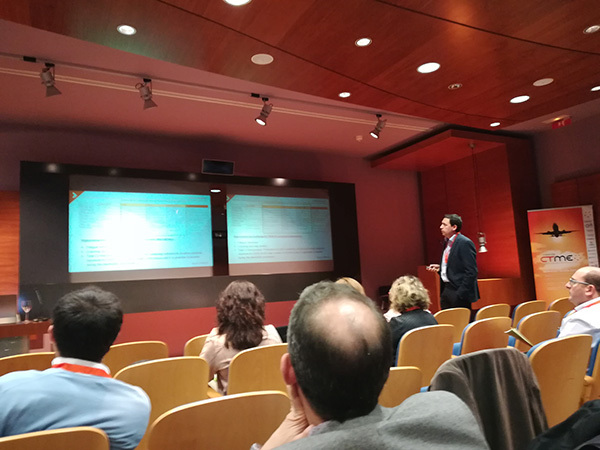 Dr. Rodriguez focused his presentation on current trends followed in surface treatments used in aerospace to meet European REACH regulation about Registration, Evaluation, authorisation and restriction of Chemicals (Regulation (EC) No 1907/2006). He presented the main alternatives for aluminium and steel currently used for surface treatments in aerospace. ECOLAND is developing an alternative to CAA (Chromic Acid Anodising) and hexavalent Chromium containing primers currently used to protect some aeronautic aluminium parts. The project aims for the validation of the hexavalent Chromium free anaphoretic e-coating process for landing gear aluminium alloys. On the other hand, Mr. De Saja mentioned ECOLAND as part of the experience of CTME in Clean Sky projects. CTME is in charge of LCA and Eco-design related activities in ECOLAND and will evaluate the environmental improvements provided by the anaphoretic e-coating (energy consumption reduction, Cr-free process, VOCs emissions reduction, etc. ).